Property Investing in Singapore – Low vacancy in OCR means opportunity? Paul Ho (iCompareLoan.com) 11 June 2017. 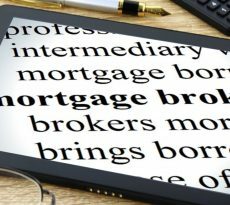 What are the good properties in Singapore to invest in? Which are the places with the best rental rates and lowest vacancy rate? These are important questions that a property buyer needs to look at. If you are planning to buy a place to rent out, where would you buy? Some would say, Orchard, some would say River valley and others would say Jurong and so on. Where to buy property in Singapore for renting out? We take a look at the URA’s vacancy rate and here is what it says. 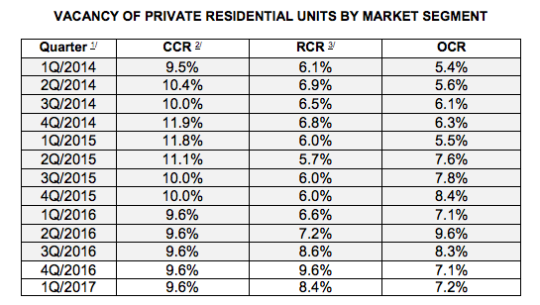 Table 1: Vacancy Rate for Private Residential Units by Market segment, URA. So in recent years, it seems that Core Central Region (CCR) has the most vacant units. Core Central Region refers to district 9, 10, 11, core planning region and Sentosa. As the prices of properties in CCR tends to be higher, it is only natural that the CCR costs more to rent. That is perhaps the reason why it has more vacant units. But OCR (Outside Central Region) has the lowest vacancy rate. Does this mean that rentals must be great in OCR? If rentals are not great, does it mean that it is easier to rent out? Outside central region refers to the outskirts and out of town areas, such as Jurong, Woodlands, Sengkang, Punggol, Tampines, Pasir Ris, etc. So let’s rush to buy in Punggol, Sengkang, woodlands, Jurong and many more?!!! OCR (Outside Core Region – Namely outskirts) has lower percentage of vacant units, is it true? Let’s consider the scenario of 9.6% vacancy in CCR and 7.2% in OCR. What if I tell you the actual vacancy rate can be much higher? Do you believe? Let us look at the OCR ver CCR Vacancy Rate. If there are 100,000 units in CCR and the vacancy is 9.6%, that means 9,600 units are vacant. So it is safe to say that 9.6% of the owners are not able to rent out their units. Actually that is wrong. Because many owners buy to stay in it, hence they are technically not in the rental market to compete and cannot be counted. So those who buy to stay, they are 100% or close to 100% occupied. So if we exclude this number the entire story will become rather scary. We define Investor ownership rate as those who buy primarily for renting out for an income. Note: The property stock are approximate. The Investor ownership rate is not measured by URA, hence is only a guesstimate for illustration purposes. For CCR, historically there is a 30-40% foreigner purchase, and there are a lot of demand from expatriates to stay within city centre where they work and hence from anecdotal evidence, has a higher percentage of people buying properties in CCR to rent out. Investor Ownership of properties in CCR could be as high as 30-50% of total stock. Let us just use 50% as an illustration. OCR (outside central area, i.e. Outskirts) is traditionally for residential use, such as new developments in Sengkang, Punggol, Hougang, Jurong, Woodlands, Yishun, Sembawang, Tampines, Pasir Ris, etc. and many more. Although some regional centres such as Jurong, Woodlands and Tampines have sprung up strongly, perhaps there is still only 25% of all property stock within OCR is owned by investors. The reason is simple, the units will not be vacant if they are bought for own use. Hence if we consider the investor ownership rate and the vacancy rate, then the result could be different. Because it is not 9,600 units divided by 100,000, but rather 9,600 vacant units divided by 50,000 (investor owners of CCR properties assuming 50% investor ownership). Although OCR has lower vacancy rate at 7.2% of 100,000 units, these 7,200 units could be divided by 25,000 (Investor owners of OCR properties assuming 25% investor ownership). The vacancy rate for Investors could come in at 19.2% for CCR (Based on 50% Investor mix), while 28.8% for OCR (Based on 25% investor mix). You can see the vacancy rate felt by investors is now in favour of CCR. These will probably reflect how the investors are feeling in the field about the vacancy rate… perhaps roughly 1 out of 5 is vacant. If this scenario is true, then how good or bad a region is in terms of rental demand will really depend on how many people are buying to rent out, i.e. “Property Investors” are there in the market place. In this case, our believe is that Outside Central Region (OCR) supposedly lower rental vacancy is a death trap for unsuspecting property investors thinking that it is a good region to invest in, because historically there is less investor demand for properties there. All in all, property investing is about understanding the target rental market so that you can manage your vacancy risks regardless of where the region may be. There will always be pockets of good rental potential developments and those that will struggle to rent out. Ultimately you will need to review the rental rates or the specific property as well as the number of listings for rental in each development to get a feel of how strong or weak the rental demand is. If you are buying to stay, you are very safe, as you are your own guaranteed Tenant. 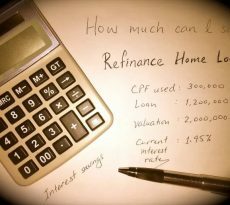 If you have already had several properties, perhaps refinancing home loan is also a choice you can make.